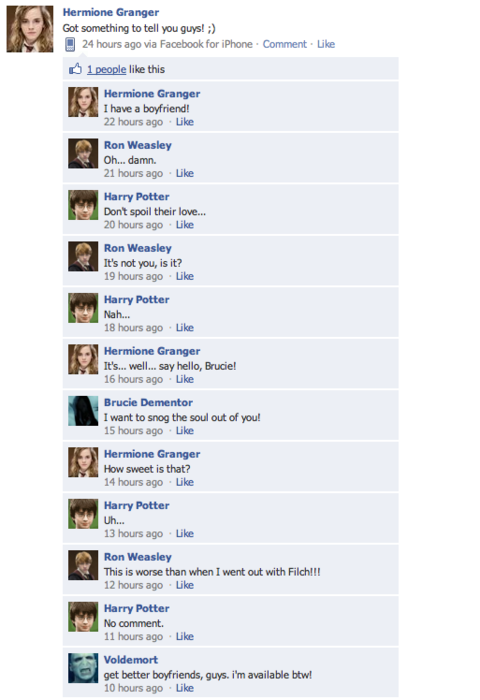 Twilight and Harry Potter Facebook Conversations!. . Wallpaper and background images in the Harry Potter Vs. 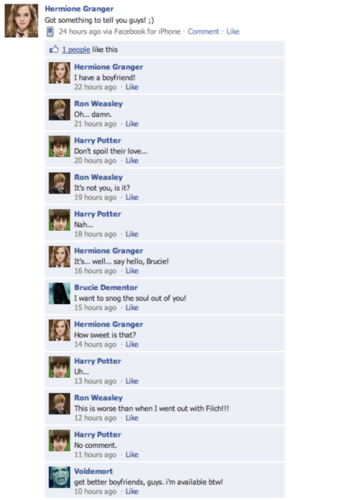 Twilight club tagged: harry potter twilight funny facebook characters funnies conversations.